Thank you for your interest in joining our team of wonderful Nannies! We are a in home childcare referral agency that specializes in the ideal match between Nanny and Family. The application is the first step to getting started. 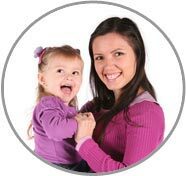 In order to be able to join the ABC Nanny network of qualified candidates, each Nanny is required to submit a completed application and undergo extensive background screening. Our exceptional screening process is what allows ABC Nanny Source to command the highest salary and benefit packages available based on your experience, education and references. One accepted in the ABC Nanny Source network, we (at the agency’s expense) initiate a National Criminal Background Clearance, County-Wide Criminal Background Clearance; Electronic fingerprints will be taken when you come to the agency, and a Driving Motor Vehicle report will be obtained. You will also be required to submit to a 5-panel drug test done at a local Quest Diagnostic lab center and become CPR Certified for Children and Infants to become fully registered if you are not already certified. We are always looking for qualified, caring individuals for our wonderful NJ families who are in need of superior Nanny services. Please fill out the application below and be as detailed as possible and an ABC placement counselor will be in touch with you promptly to arrange an interview! © Copyright 2010 ABC Nanny Source. All rights reserved.